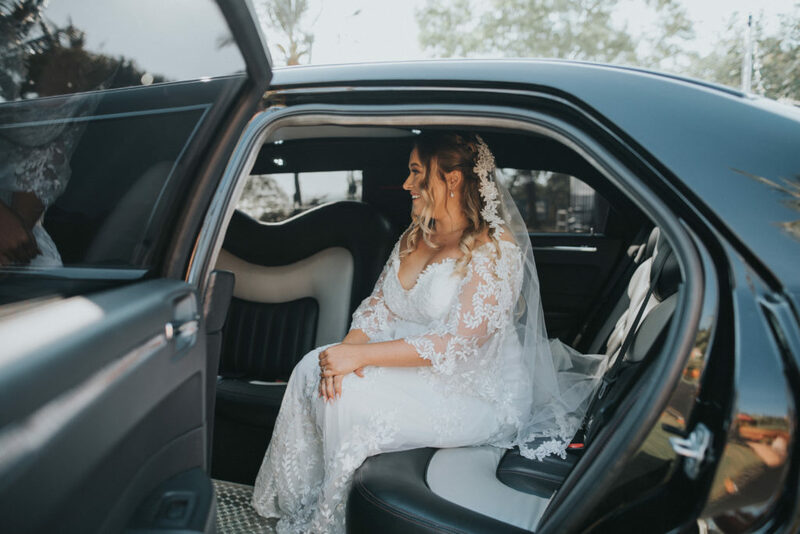 Limousines can be expensive, we know, as they are the most luxurious ways of transport it is often a dream for people to travel in a limousine and be chauffeured by your own private driver. Grand Touring has now made this dream of booking a stretch limousine into something both affordable and achievable. Our experienced staff are experts in coordinating limousines across Tasmania and the Northern Territory. The Chrysler stretch limousine at night time. 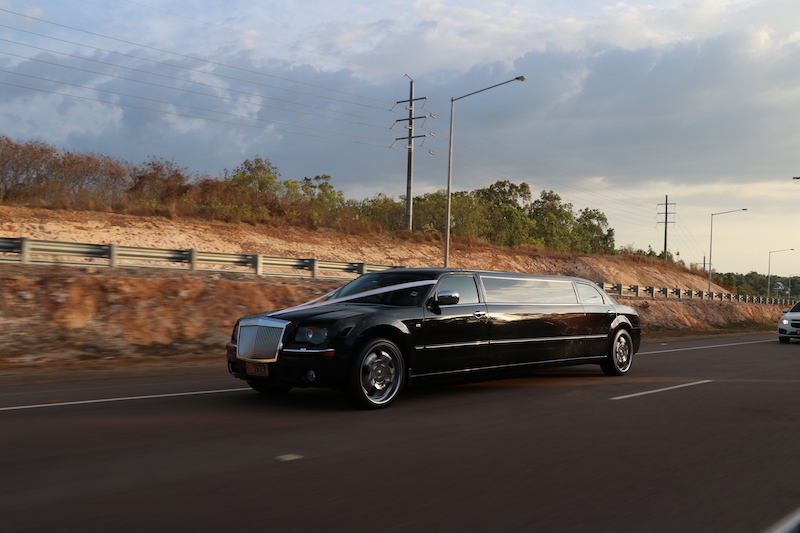 Grand Touring is proud to bring to both the Northern Territory & the Apple Isle, the first Chrysler Stretch Limousine available to each state. Each summer, the Chrysler makes it’s way down from Darwin across the Stuart Highway and through South Australia & Victoria to arrive in the North Coast of Tasmania. From there is travels down the Midland Highway into Hobart where it makes itself available to Hobart & Tasmania for weddings and special events. 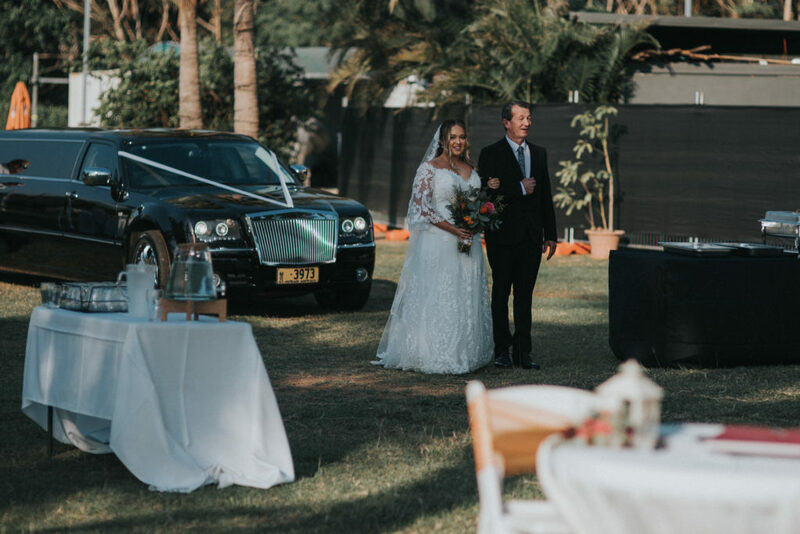 As winter approaches in Tasmania, the Chrysler is returned to Darwin for the dry season, where it is captured in the background of weddings and bridal party photographs. With seating for up to ten passengers, the 2010 Chrysler 300C Stretch Limousine is great for weddings, graduations, nights out, airport transfers, leavers dinners or private touring. The Chrysler is available in Hobart between September and May each year, and in Darwin between April and October. This limousine offers you everything you need when it comes to luxury travel. It represents both style and elegance. The polished black exterior looks stunning and creates the perfect backdrop for photographers as they create lifelong memories for you. Nothing in Tasmania will come close to the stunning look which captivates people as it drives past. A sleek black look with the modern interior features, you will be treated to an exceptional service when you book with us. The interior is fitted out with luxurious features and amenities that passengers can enjoy when travelling. It comes equipped with quality leather seats giving you extreme comfort. The personal mini bar holds ice, drinks and champagne. A high quality sound system lets you choose your own playlist for a memorable trip and an electric divider between yourselves and the driver makes the entire experience personal and all about you. This stretch limousine was made for weddings & events. 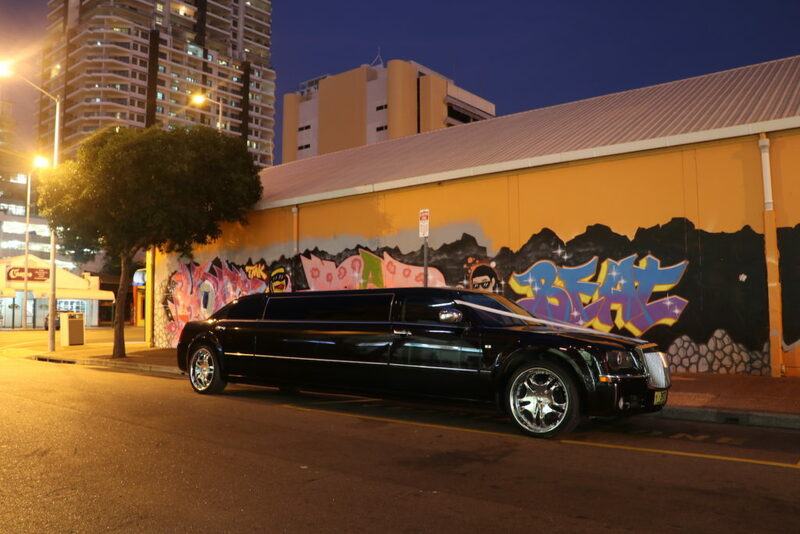 We are constantly receiving enquiries for bookings and encourage you to do the same if you are considering a stretch limousine for your event. Those who have booked with us before have been thrilled with the service provided from start to finish. We offer quality wedding packages that ensure vehicles are polished clean and made exceptionally clean for your big day. Ribbons are provided on the front of your chosen vehicle as well as boutique ribbons across the rear windscreen making your vehicle looks fitting for your arrival. Be reassured that our drivers will be well presented on the day and offer a safe and smooth drive to your location, our drivers are always on time and work with our friendly staff to ensure all your transport is professionally coordinated in advance. After the wedding ceremony is complete, our driver will take your bridal party to your requested locations and can be available for photo shoots with your group. Our Stretch Limousine’s will make your occasion grand. So don’t regret missed opportunities, inquire with us today to see how we can make your wedding day perfect. Visit our Wedding & Special Events Tasmania or Wedding & Special Events Northern Territory to make your booking.